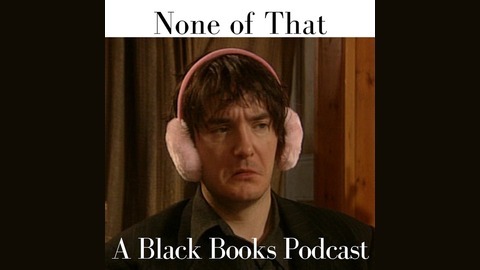 An episode-by-episode look into everyone's favourite bookshop. Each week new guests discuss their favourite quotes, characters and plots, and wider discussions on art, culture and life. Hosted by James McAnespy. The third episode of the show is the classic The Grapes of Wrath, where Bernard and Manny are housesitting for a wealthy friend. They only have one rule they have to adhere to - don't drink the expensive wine! Fran is on a date, with a seemingly fabulous chap, but that's the problem. In the Culture Wine and Life section, we fill in last week's guest John Higgins entry of Shepperton Babylon, Derm tells us of the award-winning short film he was involved with, Incoming Call (Vimeo link), and we celebrate the life of one Omagh's most colourful characters, Arthur 'Arty G' McGonigle, and James reckons Guns 'N Roses are the greatest rock band ever. 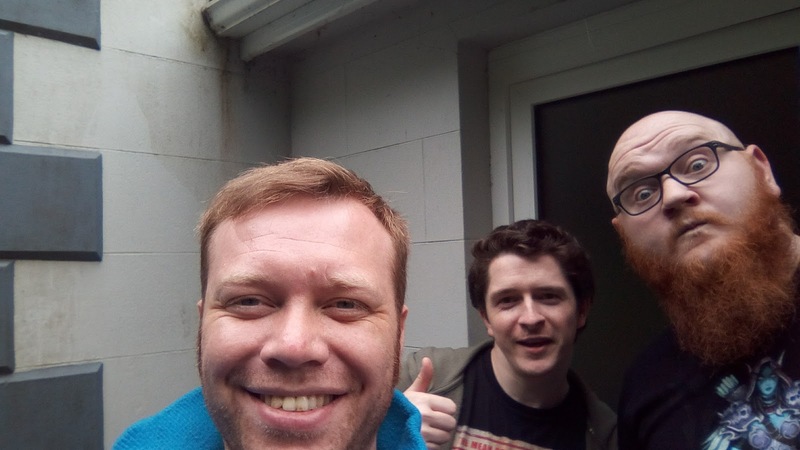 Guests this week, in the Delhi Belly studio were Derm McGuigan (@pasticheofderm), and Will Convey, who's part of running the Omagh festival this year. 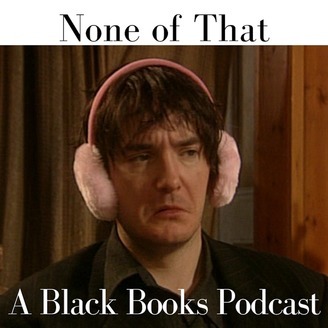 To hear all the None of That episodes for free, subscribe to us on iTunes (https://itunes.apple.com/gb/podcast/none-of-that-a-black-books-podcast/id1244800778?mt=2), or copy this link (http://feeds.feedburner.com/BlackBooksPodcast) into your favourite podcast app if you are using Android/PC. Leave your comments below - we read them all! To get a read-out and response, as well as other great rewards, get over to patreon.com/JMcA!